The Smithsonian’s National Portrait Gallery will present “In Mid-Sentence,” a selection of photographs from the museum’s collection that, when seen together, showcase the camera’s ability to capture people in dialogue. Featuring more than 25 images of people in the midst of public speeches, intimate confessions, shared jokes, political confrontations and other forms of verbal exchange, the exhibition will explore the power of visual communication. 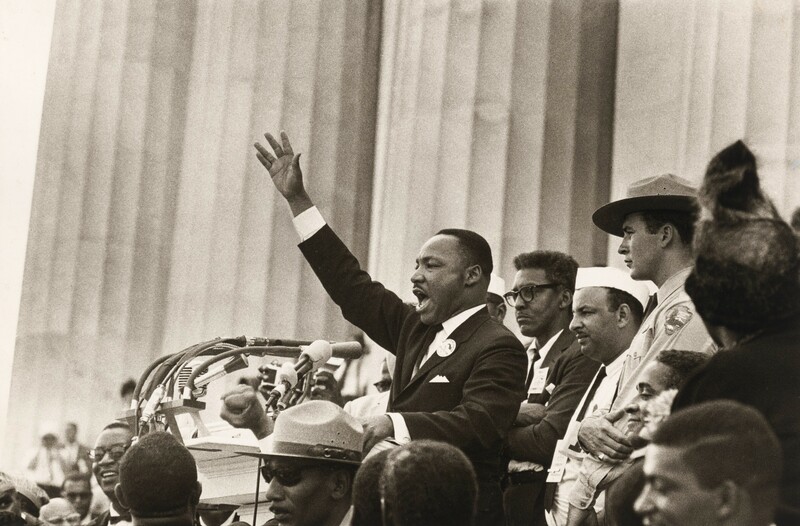 Photographs of historical moments—such as Robert Adelman’s image of Martin Luther King Jr. delivering his “I Have a Dream” speech and Garry Winogrand’s portrait of President John F. Kennedy speaking at the 1960 Democratic National Convention will be represented alongside glimpses into the private lives of other icons, including baseball great Jackie Robinson. “In Mid-Sentence” will be on view May 3 through March 8, 2020 and is curated by Leslie Ureña, associate curator of photographs. Figures featured in the exhibition will include Muhammad Ali, Diane Arbus, President George H.W. Bush, Angela Davis, Murray Gell-Mann, Althea Gibson, Juan González, S.I. Hayakawa, Hans Hofmann, Margaret Mead and Huey Newton. In addition to highlighting prominent American figures in public and private life, “In Mid-Sentence” will explore the relationship between the subject and camera, and what body language can communicate. A selection of speeches will be included on an interactive kiosk. The exhibition was made possible by the American Portrait Gala Endowment. Additional support for the interactive kiosk was provided by the Smithsonian Women’s Committee.